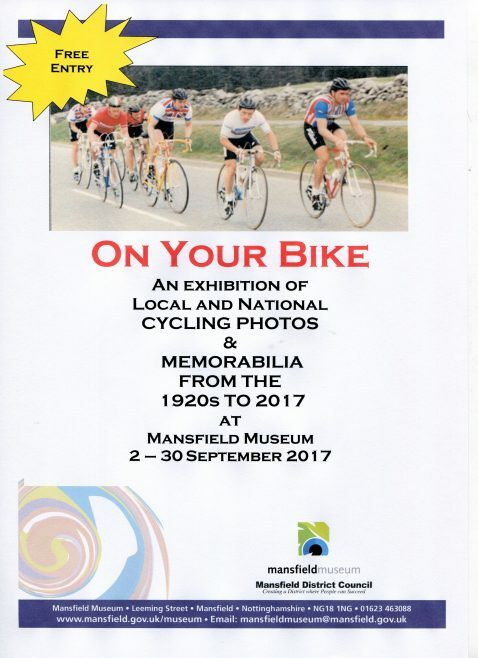 This exhibition in Mansfield Museum had many photographs showing the different clothing cyclists had worn over the years, how bike styles had changed and even a tandem rider worn down to a skeleton! There were cyclists names people knew and some that were not known. There were names in a local girls autograph book that were signed in the 1930s. Some photos of the Tour of Britain in Mansfield were also added after the 6th September 2017.